Over the recent years, the innovative peer to peer lending sector has demonstrated an impressive level of success. In its infant years, this industry was only focusing on individual investors who were seeking to offer a small loan to a borrower. However, the successful business model led to an outstanding track record and as a result, huge banks are now using the platform. When the financial institutions came in, the industry gained some more credibility making the funding option more popular. This makes peer-to-peer lending a lucrative income generator for investors who are willing to spend some time learning the risks as well as the rewards in this industry. Here, you’ll learn how you can make money investing in this sector. P2P lending enables you to offer loans to an individual or join a pool of loan which limits the lending risk. Basically, you use the credit scores to determine how much risk you are going to take with a certain borrower. Here, borrowers are allowed to take loans up to $35,000 which can be used for anything but the loan comes with fixed interest rates as well as predetermined monthly principal and interest. However, business borrowers are at liberty to have a line of credit with a ceiling that goes up to $300,000. 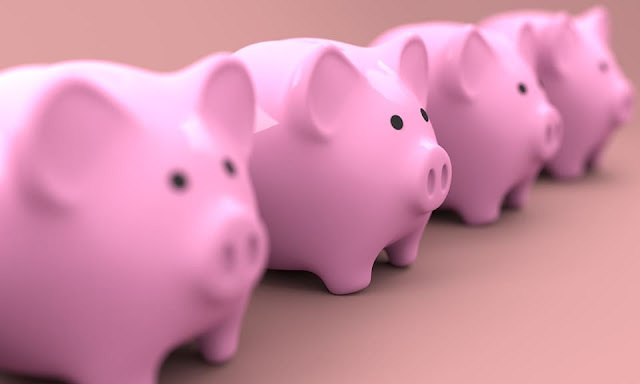 Nevertheless, most individual borrowers use the loans for the purpose of consolidating their current debts since peer to peer loans come with lower interest rates. Most loans mature within 60 months and the loan approval process, as well as interest rates determination, relies on a strict credit criterion which is purely designed to give preference to creditworthy borrowers. As such, average borrowers have credit scores of at least 699 and their annual income is slightly above $74,000. According to the borrower classification, you can expect to pay interests between 7.3% and 25.5%. In the lending market, this is an attractive return. Peer-to- peer lending platforms like Lending Club allow you to lend to several people so that you can spread the risk. Basically, you can make investments as low as $25 and through diversification, you can lend to hundreds of people. According to the reports on the lending platforms, almost every investor with over 100 notes has posted good returns. This is because of risk diversification which minimizes the chances of losing your investment. As an income investor, you are focusing beyond risk avoidance since you have to take care of the fees and other expenses. For the principal amount and interests that are paid on time, you should expect to pay about 1% in fees. However, you won’t be charged anything if there are some late payments but the associated collection fees can be quite high. While this investment option can offer higher returns than bonds and some stocks, you should be ready to forego investment liquidity. If you want to quit the investment quickly, it’s possible to sell your entire portfolio to other investors on the platform. However, you are not guaranteed that you’ll find a buyer immediately. Therefore, you should be ready to commit the investment for at least five years. The average returns you can make from this investment purely depend on the amount of money you invest as well as the types of loans you prefer. Basically, borrowers who have lower credit scores are charged a higher interest rate than those with higher credit scores. If you want to make profits investing in this sector, you need to consider a diverse pool. Therefore, each loan you give should be a fraction of your entire portfolio because you don’t want to risk everything at one place. Basically, you should aim at having a portfolio with at least 200 different small loans. As such, you should be willing to invest about $5,000 which is spread across 200 loans since the minimum investment per loan is $25. While you may be attracted to the high-yield loan pools, they come with increased risks and therefore you should ensure your investment is spread across multiple risk profiles. Peer-to-peer lending is safe but just like other types of investments, you don't have a guarantee that you'll reap profits for consecutive years. However, the odds can be significantly higher when you focus on lending to people with perfect credit scores. By having multiple loans running at the same time, you can limit the tendency of making devastating losses. The involvement of institutional lenders in the peer-to-peer lending platforms has contributed to higher competition. As such, good loans are taken within a few minutes after becoming live on the platform. For this reason, most investors use peer-to- peer lending tools. These tools are used for the purpose of selection and filtering. A good loan filtering tool will ensure you are outperforming the available market. Today, most used filters focus on credit inquiries, loan purpose, and loan grade. This makes it easy to invest in high return loans and the advanced algorithms used by the tools ensure that you have a high liquidity investment. When you use the tools, you’ll pay up to 0.6% on all the notes you purchase through the tools as well as the average idle cash. Most users have performed better than their counterparts without the tools by about 2.6% and it also saves you lots of time since the executions are fully-automatic. It’s possible to get good returns when you invest in peer-to-peer lending. This concept has been around for long, the projections for the long-term investments are not as vast as what you find in traditional investments. However, it's safe to invest in this sector since the companies involved has posted a tremendous success. Besides, the demand for alternative lending options is growing. The fact that there is higher involvement of financial professionals tells you that peer-to-peer lending isn’t going anywhere anytime soon. However, this isn’t a one size fits all investment and its best suited to investors who are ready to take the risk as well as learn more about the markets. Therefore, you should weigh your options and decide whether this investment fits into your preferred portfolio. I hope you enjoyed this article about how peer to peer lending can be a profitable investment option with high growth projections.